Onagawa was hit hard by the tsunami from the Great East Japan Earthquake in 2011. But four years later, it is starting to recover, with the fishing industry in particular making a rapid comeback. 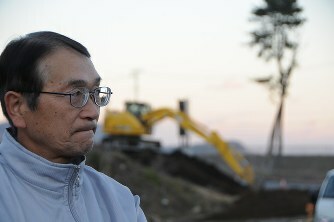 Journalist Kikuchi Masanori goes back to the town he has visited repeatedly since the year of the disaster for an update on its progress. The message, displayed on a brand-new blue banner, greeted me when I alighted from a train at Onagawa Station in early June 2015. The recently completed three-story steel-frame station building, light brown and gleaming in the hot sunlight of the clear day, stood out among the scattered buildings of the area. Families and couples were enthusiastically snapping photos with their smartphones. And the station’s attached hot spring facilities were lively with visitors, even though it was daytime on a weekday. Onagawa lies on the east coast of Miyagi Prefecture, and its train station is the eastern terminus of the East Japan Railway Company’s Ishinomaki Line. The station was finally reopened on March 21, 2015, four years after it was washed away by the tsunami following the Great East Japan Earthquake of March 11, 2011. Onagawa is located in a low-lying area facing the sea with a ring of hills behind it; the hills blocked the advance of the tsunami, and the waters rose to a height of 20 meters—much higher than in other affected areas. The tsunami laid waste to all the buildings in the town center, including the train station, and left 827 people dead or missing. It took about two years for the town, with aid from the national and prefectural governments, to clear away the debris. Work has also been underway at a rapid pitch to rebuild the port and roads, raise the elevation of land in the town center around the station, and develop sites for residential construction on higher ground. It was my fourth visit to Onagawa and, compared with the scene of ruin that greeted me in 2011, the progress was clearly visible both in inland areas and around the port. There were still many vacant lots in the vicinity of the station, but work had started on the station plaza and pedestrian promenade, and my eye was caught by all the shops under construction in the area around the station. Artificially raised land near Onagawa Station. The tsunami hit the first floor of the local medical center (right), even though it was built on a natural elevation, and devastated the facility. A view of the Future Center, one of the still relatively few buildings that have been completed in the area around the train station. Next, I walked for around 15 minutes to the waterfront and arrived at the Onagawa branch office of the Miyagi Prefecture Fisheries Cooperative. There I talked to 66-year-old Itō Kazuyuki, who has been engaged in the cultivation of scallops, Onagawa’s main seafood product, for over 40 years. Although his expression seemed to relax somewhat as he spoke, Itō had only narrowly escaped the tsunami by jumping into a truck and driving from his coastal workshop to higher ground. But his home and the 13 rafts he used for cultivating scallops were all washed away. And he lost many friends and relatives, including his wife’s mother, whose remains have never been found. Despite the adversity, Itō managed to make quick progress toward recovery, first constructing three new rafts while commuting from temporary housing. Using young scallops ordered from Hokkaidō, he began cultivation again and has now built his way up to 10 rafts. And with government and other assistance he replaced his boat. This year’s sales, at about ¥10 million, were around the same level as before the 2011 disaster and at the end of last year, he was able to achieve a deeply held desire to build a house on high ground. Onagawa’s main industries before the disaster were fishing and seafood processing. Of these, the fishing industry in particular has made an amazing comeback. Cultivation of local specialties apart from scallops—ginzake salmon, oysters, and sea squirts—has been relatively quick to resume. And fishing of saury and other coastal species has recovered with almost no hitches. According to cooperative and town records, although the number of town residents involved in fishing has dropped from 570 before the disaster to 410 now, total sales for last fiscal year (April 2014–March 2015) came to ¥5.5 billion, topping the figure of slightly less than ¥5 billion for the year preceding the disaster. Onagawa is nearer to the many consumers in Sendai and fish traders in Ishinomaki than other fishing villages further north on the Sanriku Coast, and this has given it an advantage in restoring its delivery capabilities. However, the increase in sales is mainly due to higher prices over the last few years. The catch itself is still only at around 80% of the total for before 2011, and today’s pressing issue is how to boost yields while maintaining the same price levels. This is because the town’s other major industry of seafood processing is dependent on a certain level of catch. I spoke with Ishimori Yōetsu, vice president of the Onagawa Fish Market Buyers Cooperative, which is made up of local buyers of seafood for the processing industry: “Partly in the spirit of promoting recovery through mutual cooperation among the people of the town, we have been following an unwritten rule of submitting as high bids as possible. But the catch has still not recovered, and it was only this year that some of the seafood processing plants around the port finally started running again.” He added that there is no room for optimism. Ishimori Yōetsu, vice president of the Onagawa Fish Market Buyers Cooperative: “Because Onagawa was all but washed away, it brought the people of the town together. We have lots of discussions, but move quickly once we reach a decision. Even so, the wheels are definitely beginning to turn in the fishing industry, fish market, and seafood processing industry that support Onagawa. The high-tech multifunctional seafood processing plant Maskar has played a major role since its completion in autumn 2012. It was built at a cost of ¥2 billion with capital from the Qatar Friendship Fund, which was established by the emirate of Qatar to provide assistance in response to the 2011 disaster. The facility is designed to withstand even a tsunami of a once-in-a-century level. The first floor is for freight handling, the second has cold storage capacity for up to 6,000 tons of goods, and the third floor serves as an emergency evacuation area above tsunami level. The cooperative manages the facility, which is jointly used by firms in the processing industry. Before the disaster, there were cold storage facilities with a total capacity of 53,000 tons in the town—nine times greater than Maskar. To make up the difference, the cooperative is currently building more facilities nearby. The recovery of Onagawa’s port is well underway. The multifunctional seafood processing facility Maskar (left) maintains temperatures of minus 30 degrees Celsius in its freezer rooms (right). The name “Maskar” derives from a traditional Qatari fishing method. Public housing built on high ground for disaster victims in Onagawa. Work on land development for additional units has fallen behind schedule, but the town government is striving to make up for lost time by adjusting its construction methods. Essential facilities are being completed, and the people and industries of Onagawa are starting to move again. Many difficulties lie on the road ahead, but the local administration, citizens, and outside contributors are achieving steady progress as they work more closely together. Onagawa has recovered relatively quickly from the 2011 tsunami, despite being one of the hardest-hit communities. Journalist Kikuchi Masanori returns to the town to interview Mayor Suda Yoshiaki for the second time and see what has changed in the two years since they last talked. Suda YoshiakiBorn in Onagawa in 1972. After graduating from the School of Business Administration at Meiji University, he worked for an advertising agency before serving for three terms in the Miyagi Prefectural Assembly from 1999. In November 2011, he was elected mayor of Onagawa. KIKUCHI MASANORI Onagawa Station reopened in the town center this March, four years after the 2011 earthquake and tsunami. The port, which is particularly important for local industry, has made a remarkable recovery, and new seafood processing plants have been completed nearby. Would you say the path to revival is coming into focus? MAYOR SUDA YOSHIAKI No, that’s still to come. It’s true that the completion of the new station building is a big step, and it’s also encouraging that the core industries of fishing and seafood processing have rallied. Last fiscal year, ending in March 2015, total fishing sales for the town amounted to 5.5 billion yen, topping the figure of just under 5 billion yen for the year preceding the disaster. And total sales at Onagawa Fish Market are also higher than before the tsunami. These are both due to high fish prices. On the other hand, the volume of the catch is only 80 percent of what it was before. And the membership of the local fisheries cooperative has dropped by more than 20 percent with the loss of those who died in the disaster and of others who have closed down their businesses. So the situation continues to be tough. For seafood processing, the most important thing is to ensure there is a big enough catch, so it’s essential to get the port completely up and running again as soon as possible. Wharf-related construction will largely be completed by the end of this fiscal year. And over the coming two years we’ll be working to raise the elevation of land and prepare it for construction so as to meet the demand for processing plant sites for local firms that are rebuilding and for firms from outside the town that want to put up new plants. SUDA The multipurpose seafood processing facility Maskar was completed three years ago using capital provided by a Qatari foundation set up to support revitalization of communities affected by the 2011 disaster, and it’s being used for storage of goods by the seafood industry for the whole town. Having multiple firms share storage space increases the efficiency of the facility. The individual firms continue to compete with each other, but they’ve taken up on the idea of sharing some functions. This is a departure from their traditional way of doing business. In the sense that the town’s firms are competing as a team, I think this is a landmark innovation. The town government has also adopted the system of private finance initiatives with the construction of a joint wastewater treatment facility that was just completed this April. We’re also considering ways of reducing power costs for the local seafood processing industry as a whole, such as by setting up a system under which it would purchase electricity collectively from power companies and distribute it to individual firms, using smart technology to manage each firm’s power usage. Onagawa Station (left), which reopened four years after the previous station building was washed away in the tsunami, and the multifunctional seafood processing facility Maskar (right), built with the support of the Qatar Friendship Fund. KIKUCHI When I spoke to you two years ago, you said that the top priority was the construction of public housing for disaster victims. People started to move in to new units in 2014, as originally scheduled, but how has it been going with the construction of additional units? SUDA The first tenants moved in last spring, but the site development that needs to be completed before construction is taking longer than planned in some areas, causing delays of three to six months. Basically, we’re using heavy machinery to clear and level higher ground within the town for residential construction and using the earth from this process to raise the elevation of land within the town center and other areas near the coast. But we’ve encountered unexpected solid bedrock in many places, which is making the work difficult and time-consuming. The town intends to build 1,000 units of public housing and so far 250 have been completed. This fiscal year, we plan to finish more than 300 additional units. We will build apartment complexes at a total 34 locations within the town. This includes one place where we quickly demolished the municipal athletic stadium and put up 200 units. The complex task of acquiring land and property rights has also caused delays. Because of the huge number of owners involved, it’s a seemingly endless job, even with all the town workers going out. And we remain short of staff, so difficulties are inevitable. On the town’s islands and peninsulas, meanwhile, the terrain is steep, limiting the routes for transporting earth and sand, and this slows down the overall reconstruction process. 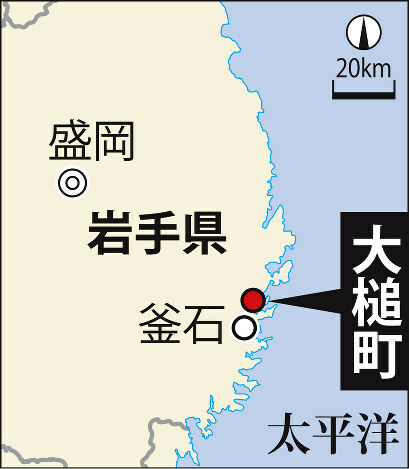 KIKUCHI Land subsided by over one meter in coastal areas due to the earthquake. I heard that for some time after the disaster, many areas of the port remained flooded with seawater. SUDA A lot of the land that subsided remains at its lowered elevation. The town center is near the ocean, and while we are implementing anti-flooding measures, at the same time we have to move forward with construction, but the lowered elevation affects our work. When there’s heavy rainfall, such as from a typhoon, traffic throughout the town is paralyzed. Water washes in from the sea, and it blocks drainage of the water from inside the town. In any case, we must avoid any further construction delays. We hope to reduce development time by reconsidering the methods being used and trying to devise new ones. In mid-May, we introduced blasting as a new way of breaking through the hard ground. We’re said to be the first town in the tsunami-affected area to adopt this method. As construction material prices remain steep, we’re still seeing some cases where there are no successful bids for construction activities, but these are somewhat less common than before. We prepare budgets taking into account the ongoing high prices, and I believe we’re now doing well by comparison with other disaster-affected areas in terms of inviting successful bids. Public housing built on high ground after the athletic stadium was demolished and the land cleared. KIKUCHI There is still no prospect of the Onagawa Nuclear Power Station restarting. With the town struggling financially, would you like to get it running again as soon as possible for its tax revenues and other substantial benefits? SUDA The town’s initial budget for the 2015 fiscal year was 34 billion yen, which is nearly six times greater than for before the disaster. Funds are mostly allocated to land development, including rezoning, reshaping, and mass relocation for disaster prevention. Having fixed asset taxes and other revenue from the nuclear power station is certainly beneficial, but the town became eligible for local allocation tax grants two years ago, and this is serving as a revenue source. We’re also drawing more than 10 billion yen in fiscal adjustment funds, which is the same level as before the disaster. Fixed asset taxes from the nuclear plant are now 2 billion yen; this figure is falling at a pace of 0.1 to 0.2 billion yen a year due to depreciation. Restarting the plant will definitely be possible once everything is in place. The Nuclear Regulation Authority will have to rigorously conduct the most important check for disaster resistance. Clearing strict standards is a major prerequisite. Personally, I think that nuclear power is essential for the moment, not just for Onagawa but for the whole country’s energy supply. It will take ten or twenty years to develop and expand usage of alternative energy sources. Speaking of financial matters, the national government is currently talking about making local authorities shoulder some of the costs of reconstruction, which it has covered entirely until now. But the town is already carrying many costs, and I think the idea that shouldering this additional burden will somehow make us more self-reliant is peculiar. It isn’t that I don’t understand the national government’s point of view, but municipalities with strong financial resources like Sendai [the prefectural capital], for example, have already completed their recovery and are no longer bearing this sort of burden, so I find it accept the idea of shifting costs to municipalities facing difficult conditions and requiring more time for recovery. 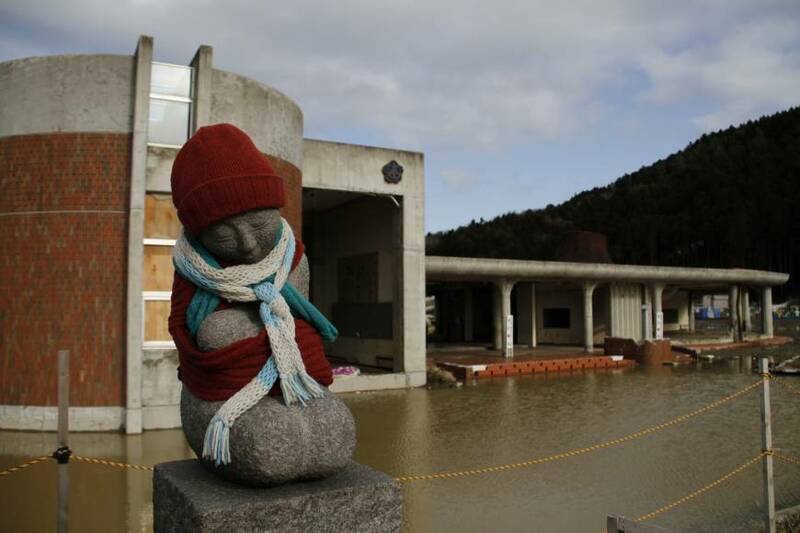 KIKUCHI The town’s population has dropped by 30 percent since before the disaster. Does this affect community development? SUDA Population decline is a national trend, and Onagawa’s population would have decreased even without the tsunami. So what should we do? Our development efforts are now based on concentrating services to maintain vitality, which results in a compact community. Construction of a commercial area centering on Onagawa Station is underway, and a number of stores are now being built. From June, work began on a shopping district to be operated and administered by the private community development firm Onagawa Mirai Sōzō. When the shopping district is completed with twenty-seven stores in December, the town will look very different. Ultimately there will be around fifty stores in the vicinity of the station. We are also planning to build the government office and other public facilities in the area. But it won’t be anything fancy like what you would see in a city. Both the station and the central shopping district will mainly serve to make the town more compact. Es war eine Fehlentscheidung mit katastrophalen Folgen: Weil eine japanische Schule ihre Kinder 2011 nicht vor dem Tsunami in Sicherheit brachte, starben Dutzende Kinder. Die Eltern bekommen jetzt eine Entschädigung. 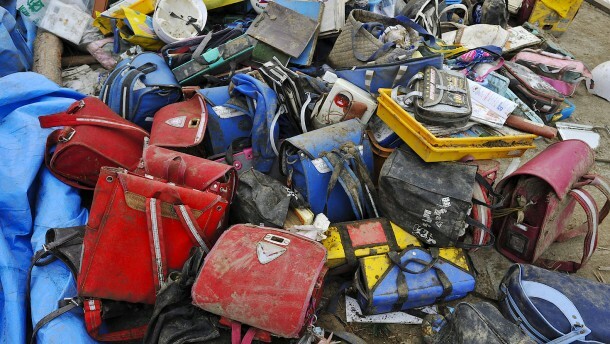 © DPANach dem Tsunami gefunden: Schultaschen aus der Okawa Okawa-Grundschule in Ishinomaki. Eine der schrecklichsten Tragödien während der Tsunami-Katastrophe im Norden Japans im Jahr 2011 ist die Geschichte der Okawa-Grundschule in Ishinomaki. Nach dem Beben der Stärke 9 um 14.46 Uhr gab es in der Stadt Aufrufe zur Evakuierung, weil ein Tsunami drohte. Doch die Lehrer der Schule, die vier Kilometer vom Meer entfernt an einem Fluss liegt, zögerten. Etwa 30 Kinder wurden von ihren Eltern abgeholt und in Sicherheit gebracht. Die Eltern schlugen den Lehrern vor, mit den anderen Kindern auf den nahegelegenen bewaldeten Berg zu flüchten. Auch manche Kinder sollen gefleht haben, an den Hang laufen zu dürfen. Aber die Lehrer hielten die Kinder für 45 Minuten auf dem Schulhof, bevor sie die Evakuierung in Richtung höheren Geländes begannen. Das war zu spät. Gegen 15.30 Uhr an jenem Nachmittag des 11. März erreichte eine mehr als zehn Meter hohe Tsunami-Welle die Küste von Ishinomaki. Nur vier der 76 Schüler, die noch an der Schule waren, und nur einer von elf Lehrern überlebte. Er nahm sich später das Leben. Ein Bezirksgericht in Sendai hat nun den Eltern von 23 Kindern eine Entschädigung von insgesamt 1,4 Milliarden Yen (12 Millionen Euro) zugesprochen, weil die städtische Schule die Kinder nicht angemessen in Sicherheit gebracht habe. Zahlen sollen die Stadt Ishinomaki und die Präfektur Miyagi. Ishinomaki will gegen das Urteil Berufung einlegen. „Die Schule hätte die Kinder auf den Berg hinter der Schule bringen müssen“, urteilte der Richter. In den Tsunami-Gebieten im Nordosten Japans sind mehr als ein Dutzend Klagen anderer Familien von Opfern anhängig, darunter gegen einen Kindergarten und eine Fahrschule. Bei der Katastrophe kamen 15.894 Menschen ums Leben. 2556 Personen werden noch vermisst. Die Stadt Ishinomaki kündigte im März an, dass die Ruine der Okawa-Grundschule als Denkmal erhalten bleiben soll. The education ministry plans to make university students training to become teachers take classes on how to respond to safety threats at schools. The initiative to make the safety classes a mandatory course partly reflects the Okawa Elementary School tsunami deaths in Ishinomaki, Miyagi Prefecture. The school saw 74 pupils die on March 11, 2011, when it was engulfed by giant waves spawned by the magnitude-9.0 earthquake. In October, a district court ordered municipal governments to pay about ¥1.426 billion in damages to the families of 23 of the children killed, finding the municipal school liable for failing to evacuate them appropriately. Both the plaintiffs and defendants are appealing the ruling. The ministry hopes to improve the knowledge and skills of teacher hopefuls so they can protect children during incidents and natural disasters, officials said. It aims to make school safety responses a mandatory subject in fiscal 2019, following amendments to the School Teacher’s License Act and a relevant ministry ordinance, the officials said. In a report compiled in 2014, a committee that looked into the tsunami deaths at Okawa Elementary highlighted the belated decision of its staff to evacuate the children. The staff as a whole lacked sufficient knowledge of tsunami preparations and responses as well as of crisis management, the report said, proposing that education on disaster preparation and response be made a compulsory subject for would-be teachers. The Central Council for Education, which advises the education minister, in a 2015 proposal aimed at improving teachers’ capabilities urged that school safety measures be studied as part of a required course. It would be desirable for all school teachers and other staff to have qualities for adequate and appropriate responses in a natural disaster, the proposal said. Once amendments to the School Teacher’s License Act are enacted, the ministry plans to start work to revise the ordinance to enforce the law, which lays down subjects and credits for teacher-training courses at universities. It wants to start enforcing the revision as soon as March. Universities individually need to file for approval to teach specific content on school safety. The new teacher-training course curriculum is not expected to start before fiscal 2019. Education on school safety is also expected to be included in the guidelines for the minimum content of education for teacher-training courses the ministry is drawing up. Some universities are already offering classes on disaster preparation and crisis management. Students at Hokkaido University of Education in Sapporo can take a half-year elective course in which they take classes to learn basic knowledge, including types of natural disasters, preparations and responses by the central and local governments, and how to read maps. In field work, students create maps for disaster preparation and response that indicate evacuation shelters and highlight key points to watch for during evacuations. Currently, the subject is not available due to organizational reforms at the university, but the school hopes to restart it soon, officials said.